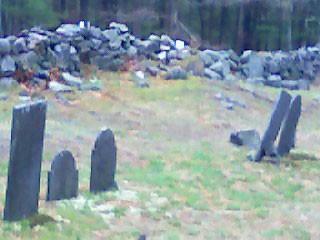 Gilson Rd Cemetery is located in Nashua NH not far from Main Dunstable Rd. There has been a lot of activity there, supposedly, by both living and dead. The few living visitors these days are usually paranormal investigators or people looking to experience the “lights”, odd feelings or capture photographic anomalies. 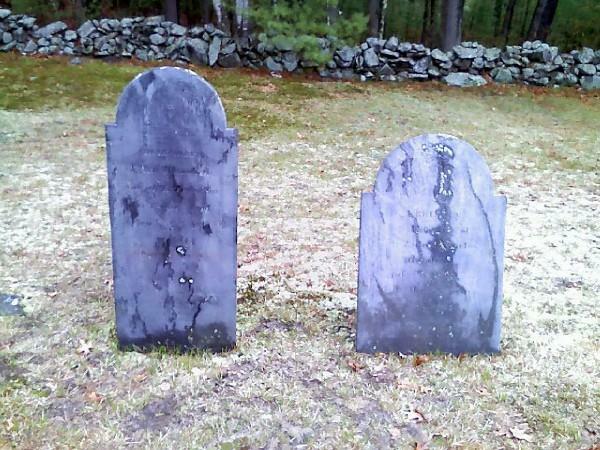 It is mentioned as one of “the” more haunted cemeteries in the area. It’s history is uncertain. Many stories have been told and handed down by locals about this cemetery and the woods around it. 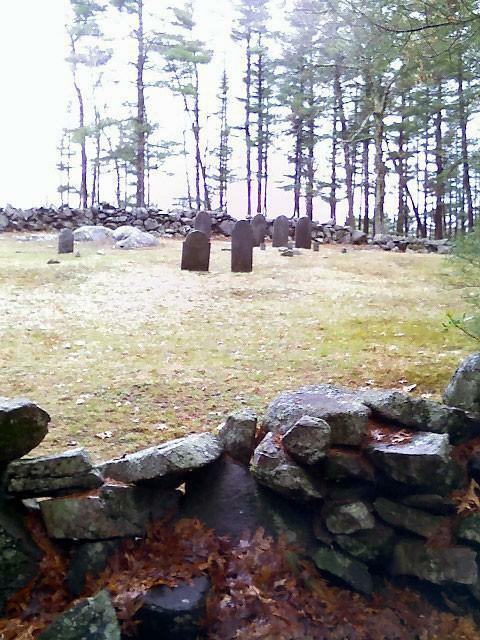 It was supposedly the location of a violent Native American battle long before it became a Cemetery. Another story tells of a medicine man who sacrificed unknowing braves to dark forces and died in that location. There are few documents and most of the older graves unmarked leading to suspicions of illegal body dumps and murders prior to the “official” cemetery. Although I have not been by at night or the “magickal hours” of twilight, I personally do not believe all the hype. The only feeling I get from this old rural cemetery is peace. The quiet is occationally disturbed by the traffic in and out of the development now located directly across the road. I’m sure the spirits of the departed are there and maybe they get playful. A friend of a friend reported feeling ill and “negativity” and really spooked by the place. I think it was in her head. Maybe it’s just the ones who don’t understand the spirits here, who hold no true reverence and respect for them that get affected. 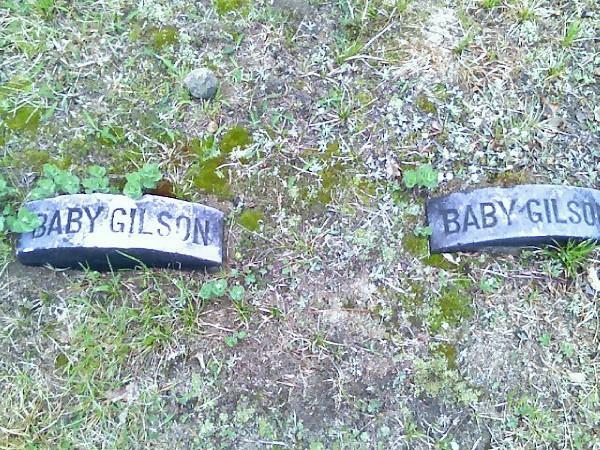 The names on the stones still there include familiar family names of Gilson, Fisk, Searles, Robbins, Lawrence and Newton. Half the cemetery has no visible stones left but low depressions leave no mistake that there are still graves located in those areas. 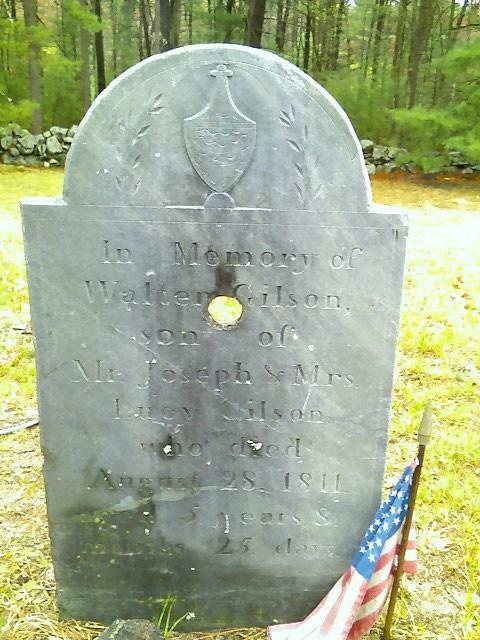 The most famous headstone is one of a 5 year old child, Walter Gilson. 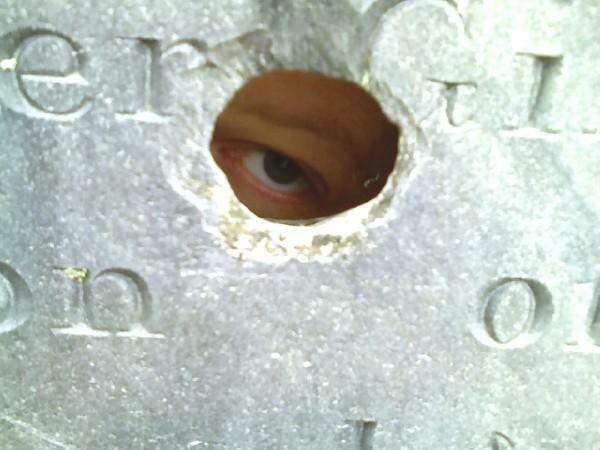 His stone has a hole in it that seems to have been drilled through.